Columbia brings some key features to the traditional booney. The sweatband includes a special wicking fabric to draw sweat and moisture away from your head and keep it from rolling onto your face or eyes. 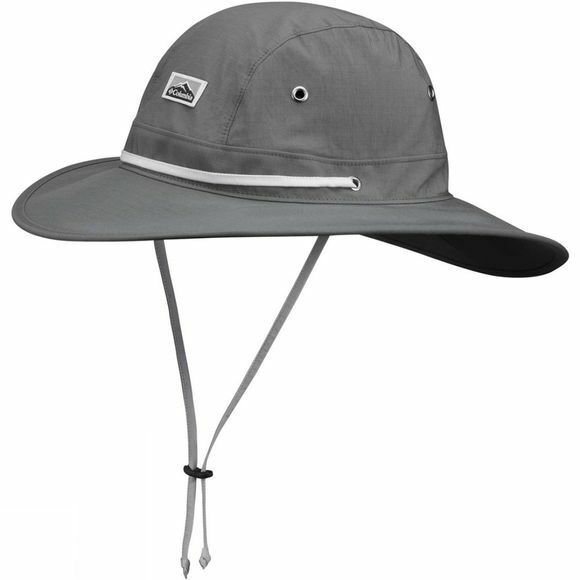 The hat material features a built-in UPF 15 sun protection and a 3" brim to keep the sun out of your eyes and off your face. With adjustable chin strap. Columbia lgoo on the front.